Homemade gear cutter arbor fabricated from 4140 pre-hard bar. Threaded to accept a 3/16" 16TPI nut. Key is a 1/4" pin reduced to fit the 6mm keyway. 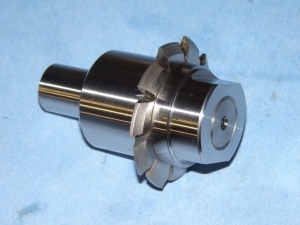 Mandrel will be held in a 75TG collet in an NMTB 30 vertical mill.